VANCOUVER ISLAND, B.C- The snow along Vancouver Island and the Sunshine Coast should calm down today. According to Environment Canada, the weather disturbance which brought snow to Campbell River, Powell River, and the Comox Valley is weakening, with snowfall tapering off into the afternoon and early evening. However, accumulation of between five to ten centimetres is still expected in most areas. Drivers should prepare for quickly changing and deteriorating travel conditions. Surfaces such as highways, roads, walkways and parking lots may become difficult to navigate due to accumulating snow. Highway 19 and the Old Island Highway have not had any reported crashes or closures, with no apparent slowdowns in the morning. 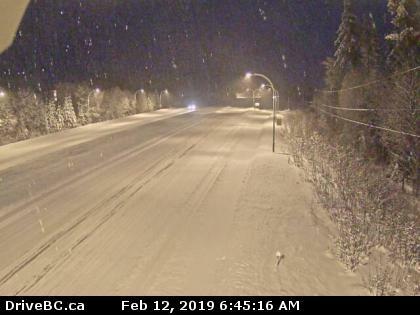 However, the route still appears to have compact snow from Campbell River to Buckley Bay, so drivers should prepare to have a slow commute.